The least efficient machine ever. I help coach FRC team #2415 and our fall pneumatics training included a project teams of two kids came up with. 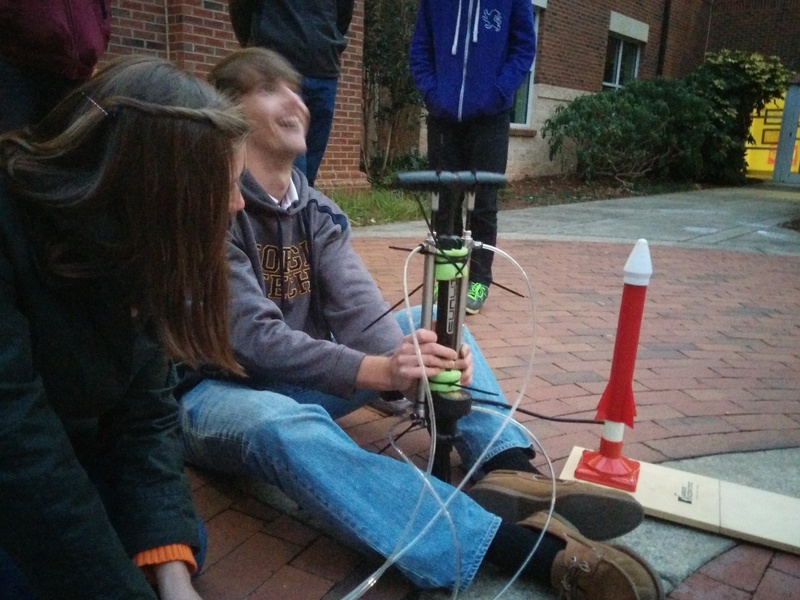 One group wanted to use pneumatics to operate a bike pump to launch a rocket. Yes, we realize the complete Rube Goldberg-ishness of this machine that uses compressed air to compress air to launch a rocket. They were the first group to get to prototype stage, as shown above. Another group is using pneumatics to turn a small car’s wheels and the final group is operating a claw gripper. They’re not ready yet with prototypes. The training module was taught by a senior and I helped guide it. About a month ago, we also built the FRC Pneumatics System as shown here.